New York artists Leni Singerman and Terry Post are known for their craveable, collectible jewelry. 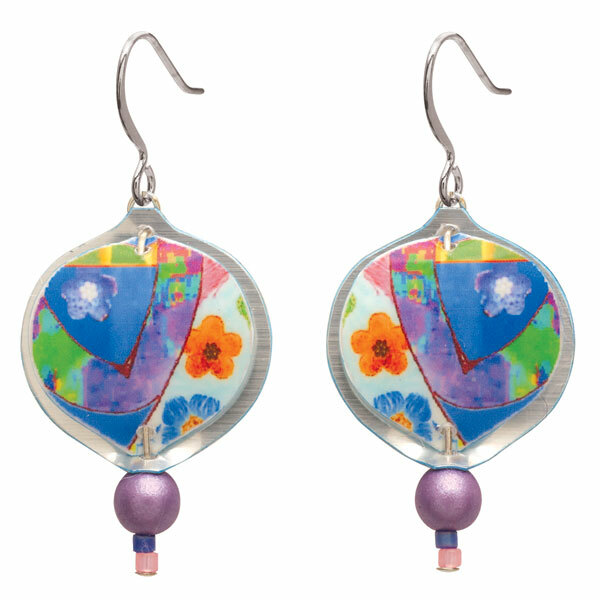 Inspired by modernist art, using a technique they invented, they make earrings that start conversations. Laminated layers of brushed silver films (plastic, mylar, vinyl), are hand-cut, beaded, bent and twisted to form sculptural shapes. Feather-light, waterproof earrings hang 1 7/8" from silver-plated brass wires.